Last week, I had the privilege of visiting with students at two schools in the 21st district to discuss space exploration and the importance of science education. I was with NASA Astronaut Andy Thomas, who has spent over 177 days in space. We spoke to more than 700 students at Sam Houston High School and Barbara Bush Middle School. Andy Thomas has a Ph.D. in engineering and has flown onboard the Space Shuttle four times. As a member of the House Science Committee and vice-chair of the Committee’s Space Subcommittee, I have a great interest in space exploration. In my office on Capitol Hill, I have a 4’ x 4’ photo taken by the Hubble Space Telescope, which is in orbit 350 miles above the Earth. Scientists directed the telescope to peer at a tiny speck of sky, a speck so small it would be covered by Abraham Lincoln’s eye on a penny held at arm’s length. 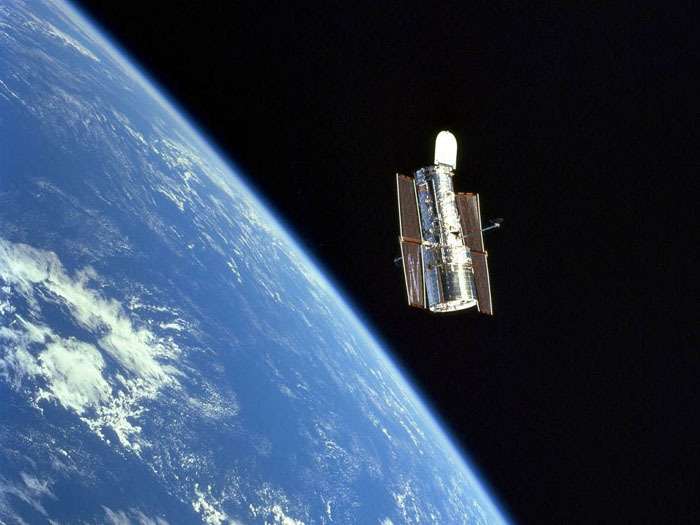 The Hubble telescope focused on that tiny, dark spot in space. The film was exposed for many hours over ten days but astronomers did not expect to find anything. Instead, when the film developed they were amazed to find over 1,500 galaxies and each galaxy contains about two hundred billion stars. This picture speaks to us on many levels. It illustrates our place in the vastness of our universe--where we have come, where we are going, and the wonderment of what we might find. Our hope for the students we met is that some will pursue careers in science and use their knowledge to explore strange new worlds and better understand our universe. Hubble does not use film. So "The film was exposed" is not accurate.All telescope over the last 20+ years use something called a CCD: Charged Coupled Device. Photons hit the CCD and are converted into electrons, which are in turn read to produce the images Hubble takes. Your digital camera works the same way.